Home > Oral Health > Are Lemons Souring Your Teeth? Lemons — they’re getting into everything! For years people have added a small slice of lemon to their ice tea or drinking water. That small amount is not likely to damage your tooth enamel. However, lately the habit of adding large amounts of lemon or lime juice to drinks is gaining popularity. There’s a lemon water fast. There’s lemon-infused water to help detoxify the body. A lemon/ginger/turmeric drink promises to ease cold symptoms. Popular ladies offer lemon and cucumber water at their parties, along with the watercress sandwiches. Lemon, lime, and orange juice (or citric acid, one of their primary components) are in numerous drinks, both cold and hot. What is all this lemon and citrus doing to your enamel? Should you be brushing your teeth right after consuming citrus juice? All citrus juice is acidic. The enemies of your teeth are sugars and acids. The sugars feed the bacteria that causes tooth decay and acids in food and drinks can erode the enamel on your teeth. Since we eat and drink throughout the day, is brushing more often the best decision? Not in the case of lemon juice! If you wake up and plan to consume breakfast along with a drink containing citrus juice, you may want to brush after you eat, but before you drink that lemony drink. Or wait at least thirty minutes after drinking it to brush your teeth. That gives your saliva time to wash away the acid. At a bare minimum, you should rinse your mouth with water after drinking citrus-laden drinks (or any acidic beverages, for that matter). These small steps protect your precious tooth enamel from erosion. Otherwise, the acid leftover on your teeth combined with toothbrushing can actually etch away your enamel! Eat whole grains daily, such as brown rice, oatmeal and whole wheat bread. Eat a variety of fruits (such as oranges and citrus!) and vegetables, including dark green and orange vegetables. Choose beans, nuts and seeds for some of your protein needs. Select drinks and foods with limited amounts of sugar. Choose and prepare foods with less salt. A handy “rule of thumb” is that the number of milligrams of salt in a serving should not be higher than the number of calories. Maintain a healthy weight and be physically active every day. 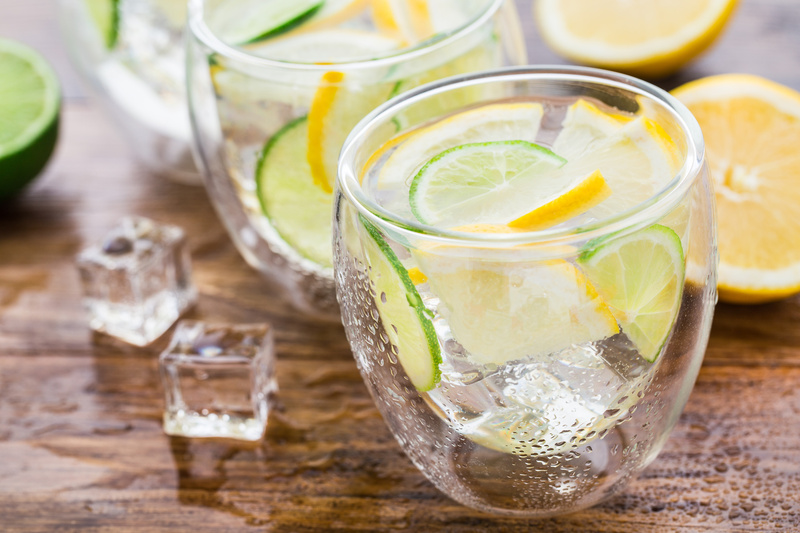 If you are in the habit of drinking lots of beverages containing lemon or citrus, make an appointment soon with the Placerville Dental Group. Our dentists assess your enamel health as part of a routine dental exam, and we will let your know how yours is holding up. While drinking and eating citrus is healthy and safe, precautions for your dental health are still necessary. So when life gives you lemons, don’t let them ruin your teeth!